The Flush Mount Difference. Superb Artisan Quality. 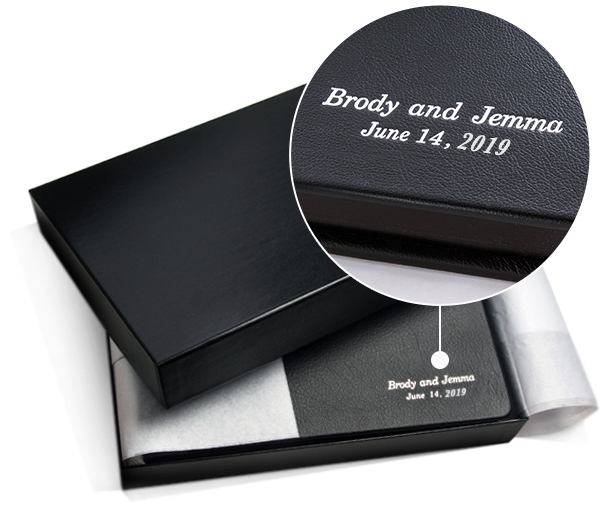 For the moments that change your life, the Flush Mount is the quintessential wedding & celebration album. Traditionally only available through professional photographers, now you can make your very own Flush Mount album at a fraction of the cost. Hand-wrapped with genuine top grain cowhide leather, the most coveted and valuable of leathers. Expertly crafted, the top grain cowhide leather cover is wrapped and hand-pleated to round corners for an exquisite look. Custom book titles are hand-stamped. Choose from foil cover stamping in Gold, Silver, or Black. Or blind debossing stamping. 5 colors available for your full-grain leather cover: black, brown, coffee, red or white. Kodak Endura Paper, mounted on double-thick board pages. Hand-Mounted on double-thickness board pages that do not bend. 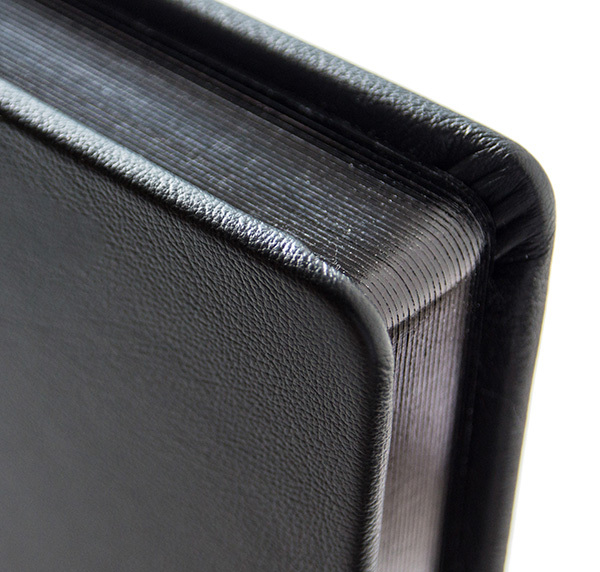 Page corners are edge gilded by hand, and feature rounded corners, hallmarks of top-of-the-line professional albums. In addition to an exquisite look, gilding provides protection to page edges ensuring your heirloom will last through the ages. Choose from black, silver or gold to match your cover stamping choice. Black is used for blind debossing stamping. Pages are bound by hand using “old world” bookbinding techniques allowing for strong and flexible binding that also lays completely flat.